Advance Capital Management’s goal is to help people make smart financial decisions that we hope will allow them to live the life they’ve dreamed of, both while working and in retirement. We believe the best way to do that is by providing financial education and building close relationships with our clients. This is the philosophy we were founded on. 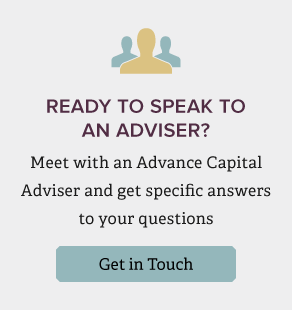 Advance Capital was started by three former executives at Michigan Bell: Ray Rathka, John Shoemaker and Bob Cappelli. While working on Michigan Bell’s pension fund they noticed a big problem. Looking at employee contributions and withdrawals, they realized many of their colleagues didn’t seem to understand how their retirement benefits worked and were subsequently mismanaging their retirement savings. So in 1986, they decided to take a risk and try to do something to help. They left their jobs, set up a small, shared office in Southfield, Michigan, and opened Advance Capital. Their vision was to build a financial advisory firm that puts the client above the bottom line, and that treats everyone like a colleague or friend. In 1987, we started our own family of mutual funds, mainly because we thought many of the fund options that were available at the time were too expensive with poor results. As the industry changed and the world became a bit more challenging through the years, we worked hard to enhance our services and strengthen our team. In the aftermath of the financial crisis in 2008, we launched our discretionary service. This provides clients a convenient, efficient and disciplined investing process. It also gives us investment discretion over client accounts, which allows us to make timely and relevant investment changes to their portfolios based on our research and market conditions, and any significant life events. Needless to say, a lot has changed over the years. We have assembled a world-class team of advisers, portfolio managers, analysts, traders and client service professionals, who all share the common goal of putting clients first. We’ve established offices in the Detroit, Chicago, Cleveland and Grand Rapids metro areas. As our company continues to grow, we remain mindful of our past, our principles and the core values that our founders instilled in all of us, which helped us get to where we are today. While the services and tools we use to work with clients have changed over the almost 30 years we’ve been in business, our ambition to help people hasn’t. And that’s something our clients can expect for the next 30 years and beyond.